Yes I was back at Canton Wok once again with my family, bent on relishing the rather good experience I had almost 2 years ago. 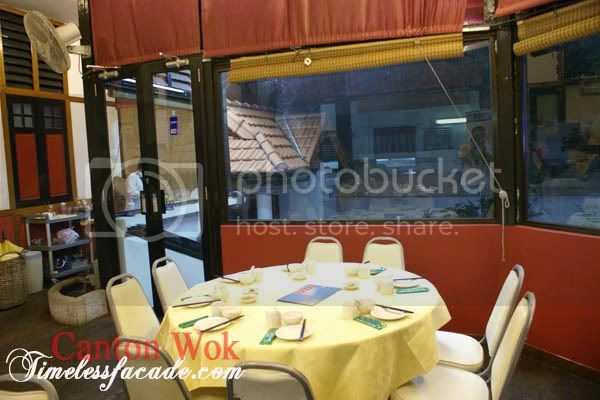 Still housed in the refurbished bungalow along Joo Chiat Road, Canton Wok's hum and buzz of 2 years ago seemed to have died down quite a fair bite. They could even take in walk in reservations at 7pm on a Sunday, a far cry from the heydays. 3 words. Overwhelmed by mayonnaise. This excellent comfort dish used to work wonders for me with the creaminess of mayonnaise complementing the saltiness of the bacon. This time round I could hardly taste or even see the bacon, not to mention the prawns. A drop in standard to say the least. I personally liked this dish quite abit - the beancurd was nice and firm on the outside while retaining its softness on the outside. It wasn't exactly very silky but had a pleasant savoury taste to it. The egg white was plentiful and had ginger bits in it to nullify the rawness of the egg I presume. 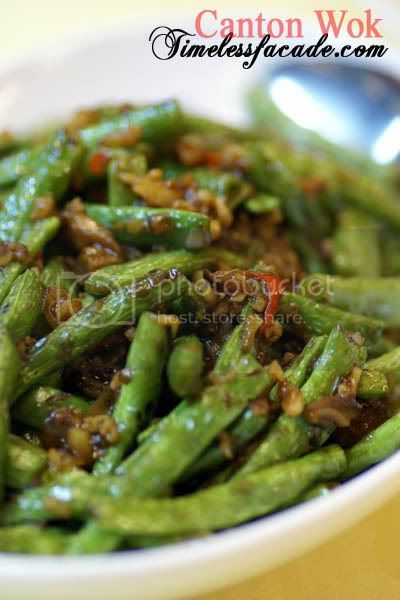 A simple yet well executed dish, the french beans were a tad crunchy and went well with the slightly salty minced pork. Add a mild dash of chilli and everythings good. The only gripe I had was the excessive oil that I spotted at the bottom of the plate. 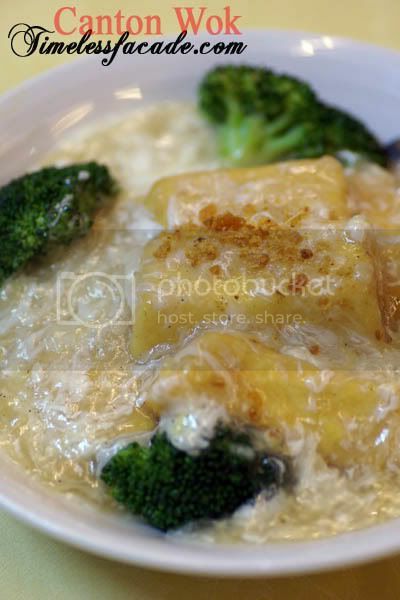 A signature dish of Canton Wok and one which I thought was quite decent. The double taste pork ribs was essentially 2 types of pork ribs - the normal one where you can get anywhere and coffee pork ribs. Both ribs were very well marinated and had bits of fat to give that nice chewy texture. However I did find them a tad too sweet for my liking. 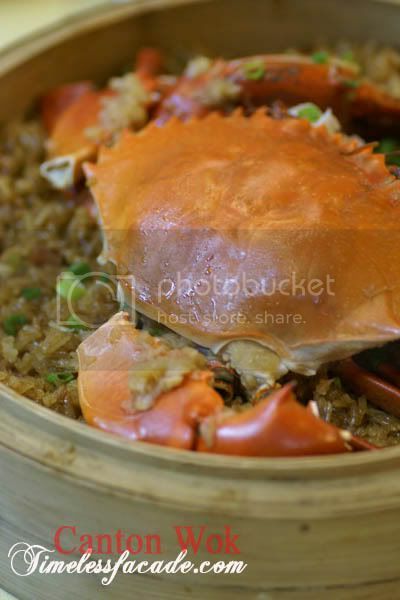 Probably everyone's favourite dish for the evening, the crab was sweet while the glutinous rice didn't have the overly sticky texture that I personally dislike and more importantly, void of the nausea inducing catalyst that tends to plague most glutinous rice dishes. One such dish is good for 4 pax. 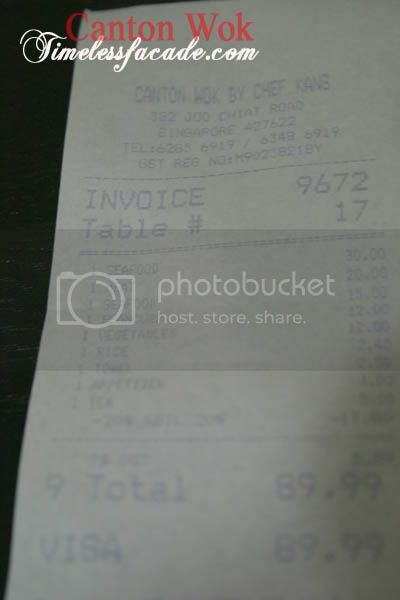 With a 10% discount, the total bill for 5 came up to $90, which is still rather acceptable in absolute terms. However food portions tend towards the small size and standards seemed to have dropped quite a fair bit. 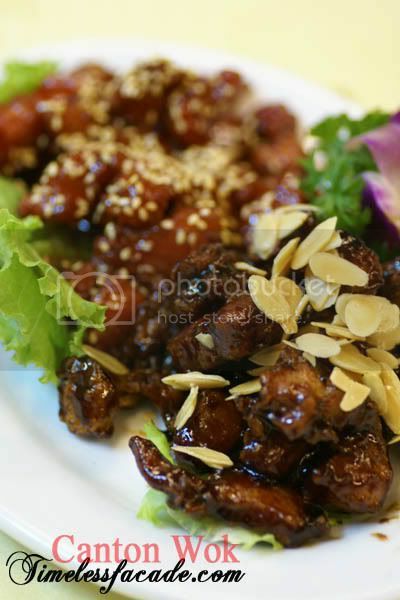 However to be fair, the food is still decently above average but Canton Wok might have to move the food quality up a notch if it still hopes to relive its glorious past. Unfortunately the success previously has gotten into the head of Chef Kang. 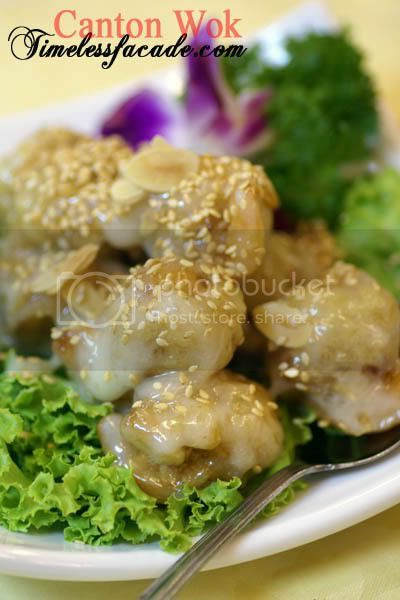 Prices escalated from Serangoon Central and Havelock days, portion reduced and worst poor management of the kitchen producing inconsistent standard caused the pitfall of this once very good restaurant.